American Women Too Young for worlds? Emily Hughes was?? She did not compete….and as for Kimmie Meissner ….she might of throughout withdrawing, cause the World Champion finished 7th in the Women’s Senior event. 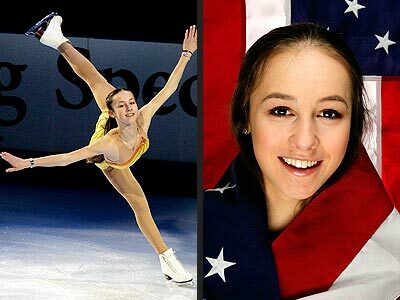 I also wonder what long time competitor Sasha Cohen is up to….she isn’t competition…but why not?? Just look at what is left to be represented at a national level….that’s just embarrassing for anyone in the figure skating world. I’ll be the first to admit that she is not the most consistent skater in the world….but no one can compare to her skating style….she is unique in her own fashion, and you cannot take your eyes off of her when she is on the ice. If you want to check out the results and scores from the 2008 US National Figure Skating Championships…..click here. And I also hate how you have to find any information about the competitions in the US by going through a site called icenetworkd.com.